Small and medium-sized businesses are spending more money on IT, including adopting tablets, cloud services and virtualization to a greater extent, according to Spiceworks’ State of SMB IT survey. IT budgets at companies with fewerthan 1,000 employees grew 6 percentin the first half of 2012 from the second half of 2011, and 15 percentyear-over-year, according to the survey. The average annual IT budget is currently US$152,000, up from $143,000for the second half of 2011 and the $132,000 reported for the firsthalf of 2011, it said. Much of the jump in SMB ITspending is due to tablet adoption, the Spiceworks study reveals. SMBs are spending more on technology across the board, from hardwareand devices, to cloud services and virtualization. 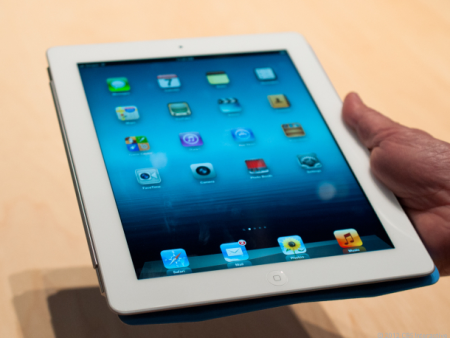 For example, 62percent have deployed or plan to deploy tablets within the next sixmonths. That compares to the 50 percent reported for the second half of2011, according to Spiceworks. Also, 48 percent use cloud services and 64 percent usevirtualization,compared to 28 percent and 54 percent for the first half of 2011,respectively. While the growth of virtualization is tapering off, the respondents arevirtualizing more applications — 3.1 applications versus an average of2.1 applications a year ago. The largest portion of IT budgets will be allocated to hardwarepurchases, followed by software and IT services, according to thesurvey. The State of SMB IT survey included 1,498 respondents from around theworld. About half of respondents were from North America; 33 percentwere from Europe, the Middle East and Africa; 15 percent fromAsia-Pacific; and 4 percent from Latin America, according toSpiceworks.